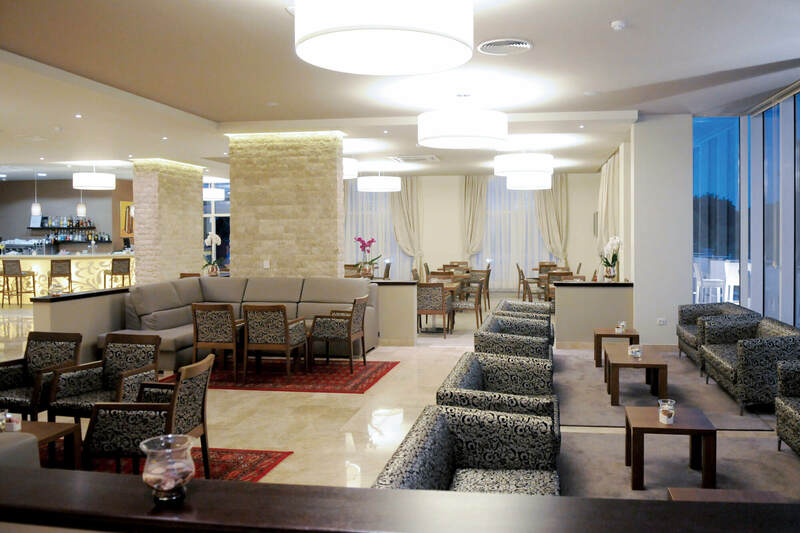 Medjugorje Hotel & Spa is a 4-star Superior hotel which stands out among the accommodations in Medjugorje and Bosnia-Herzegovina, thanks to quantity and quality of its services and facilities. We have 99 rooms of several types, including those for disabled people. We have services specially designed for pilgrims on a religious journey, including a prayer room furnished as a little chapel. At our hotel you can get relaxed in a big wellness center, and taste delicious dishes in an à la carte restaurant. 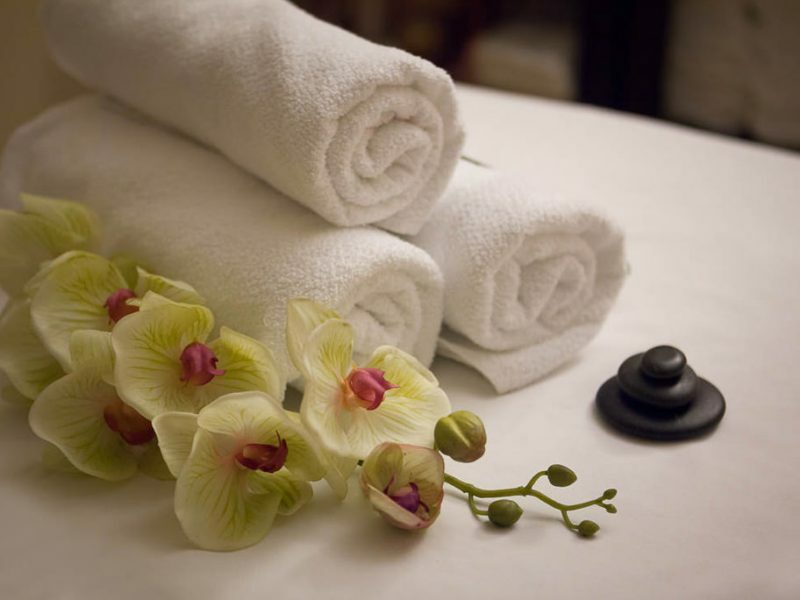 Moreover, available for you we have many other exclusive services and facilites as free Wi-Fi, garage for cars and motorbikes, hairdresser’s salon, gift shop, travel agency, lobby bar and more. 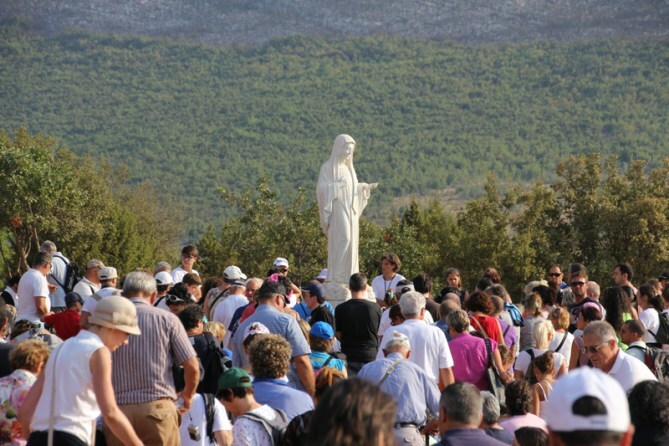 Medjugorje Hotel & Spa is conveniently placed at short distance from St James’ Church and Apparition Hill. – Bill settlement in the hotel: no advance payments, no commission fees. – If you cancel your reservation before the deadline we ask you no fees. – We offer deals and exclusive benefits. 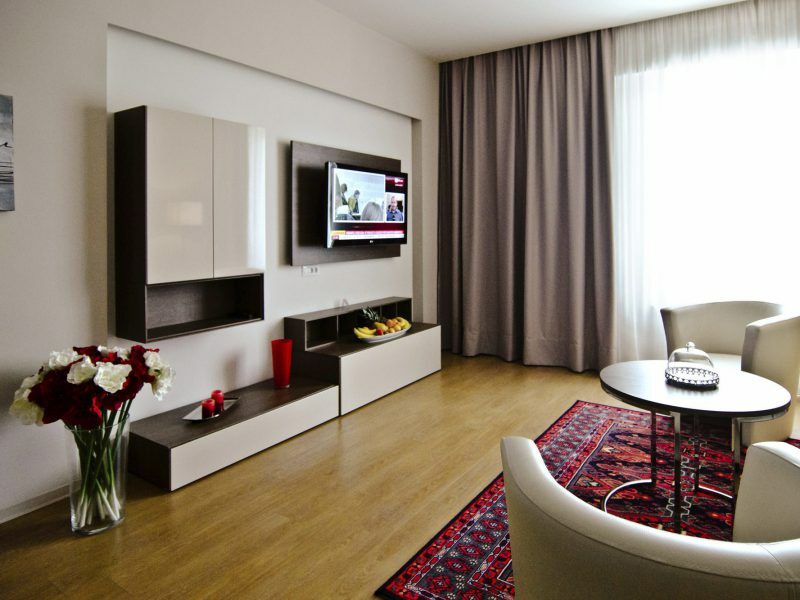 At Medjugorje Hotel & Spa you will find 99 spacious and bright rooms, equipped with all the creature comforts you need. 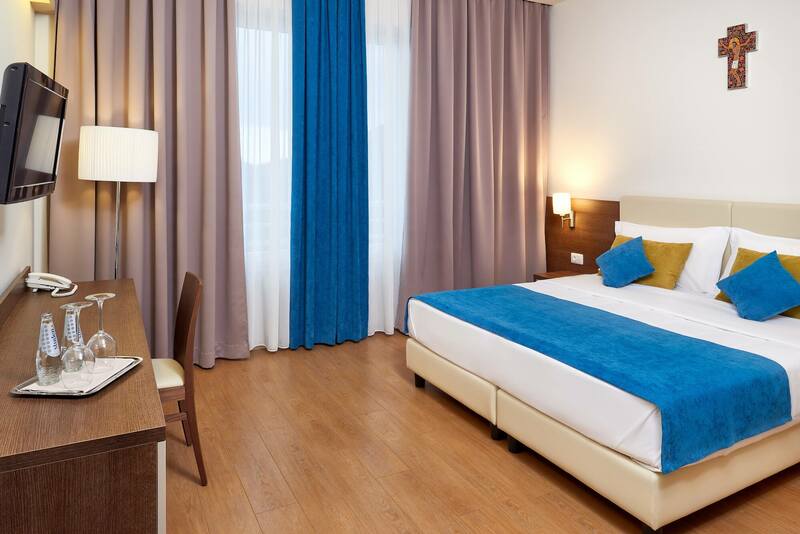 At your disposal there are twin / double rooms, triple rooms, suites for families and rooms for disabled: we have solutions to satisfy all our guests. 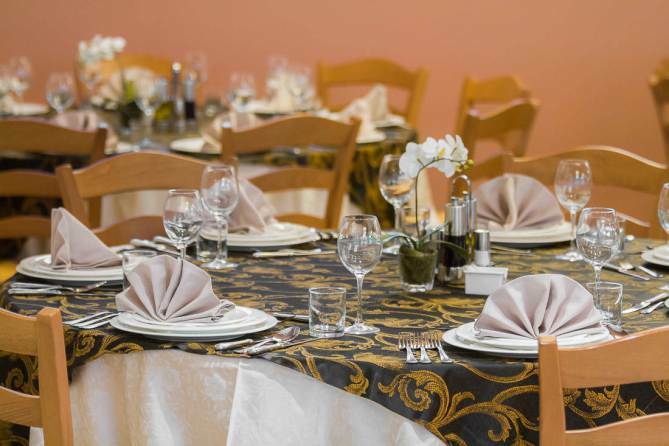 Medjugorje Hotel & Spa is specially designed for pilgrims, hence we pay serious attention to the needs of those coming to Medjugorje on a religious journey. Our facilities and services comprise an inner prayer hall, package travels, guided tours, meetings with witnesses of faith, restaurant hall for group meals. 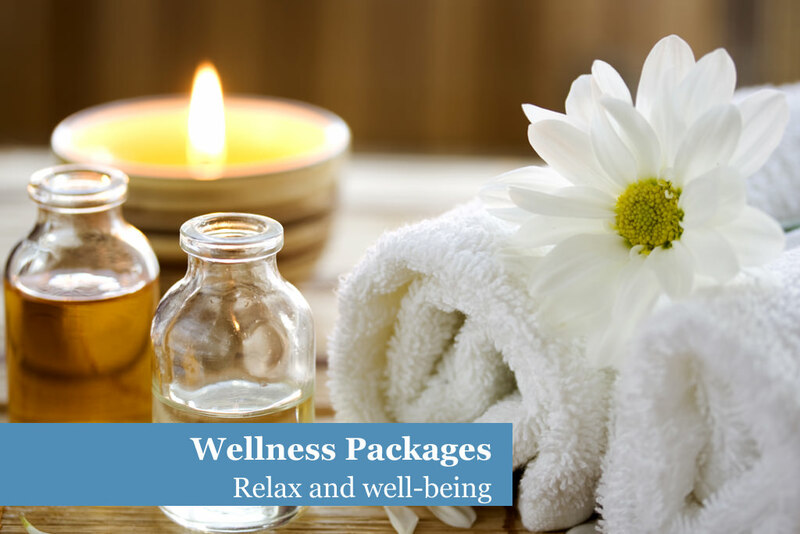 In our oasis of wellness you will find a harmonious path to regenerate body and soul: whirlpools, sauna, Turkish bath, massages, beauty treatments and more, for your health and relaxation. Aqua Spa wellness center is open to outside guests, too. At Ai Dogi restaurant you will find tasty and delicious dishes belonging to the Mediterranean tradition (such as specialities from Italy, Bosnia-Herzegovina and Dalmatia), grilled fish and meat, a wonderful pizza (cooked in a wood-fired oven), and an interesting wine list. Ai Dogi is open to outside guests, too.